For many people, nutritional Supplements are an essential part of their fitness and workout routine. These supplements come in a wide range of types, but mainly are used to provide you with essential nutritional elements. This is especially important if you need to compensate for a special diet that may be lacking in certain nutritional areas, or if you are maintaining a strenuous or demanding fitness routine which considerably increases the dietary demands on your body. These supplements can also ensure you have enough fuel to carry you through your exercise routine. What type of supplements you take—and, in fact, whether you even take any at all—is an individual decision, one that ideally would be made after consulting with some expert professionals such as your doctor, nutritionist or your trainer. In some circles, this is a bit of a controversial topic, as some people are firm believers in the power of supplements while others think they are unnecessary and should be avoided. As with many thing surrounding exercise and fitness, there is no one correct answer. If you do decide to take health or fitness supplements, you need to carefully plan out when you will take them and in what combination or quantities. Again, this is something that shouldn’t be done casually as taking the wrong type or quantity of supplements or failing to follow important safety guidelines can be dangerous and possibly result in harmful effects. With regards to providing fuel for your workout, there is a certain approach to timing your supplement intake that can have the greatest advantage in boosting your workout performance. Generally speaking, it is usually advised that you take any supplements about a half-hour prior to your workout, so they have time to hit your system and provide the energy you need to help you complete your routine at the maximum level. 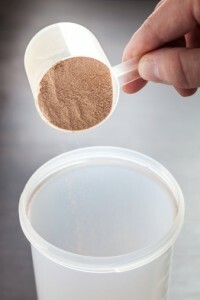 Be sure to read the directions of each supplement carefully, and follow those guidelines exactly. There will often be information about when you should take the supplement to achieve the best results. If you notice that your supplements don’t seem to working as they should, you may need to adjust your routine. Obviously, if you experience any sort of adverse reactions or side effects, you will want to consult with your doctor or other professional immediately. For more information on the home gym equipment that can offer you the best workout in your Phoenix area home, contact Fitness 4 Home Superstore. The post Workout Tip: Be Strategic with Supplements appeared first on Fitness 4 Home Superstore.